In episode seven of The Lens, Oli Barrett speaks to Dame Inga Beale, CEO of Lloyds of London and Charlotte Evans cyber underwriter at AXIS Capital. Listen to the conversation including Inga Beale's first job (1.00)a look at the history and diversity of the insurance market (2.29), her experience of coming out as bisexual at work (8.00) and learning to speak out in meetings (12.33). Charlotte Evans talks about attack surfaces and explosion of data (14.43) the way that businesses can increase their cyber resilience (17.23) and companies who penalise staff if they click on too many phishing emails (25.24). Next time on The Lens, we'll be talking to Duncan Tait, CEO of Fujitsu, and Nana Parry CEO/Founder of Metier Digital about how generations work together to achieve to make the world a better place. 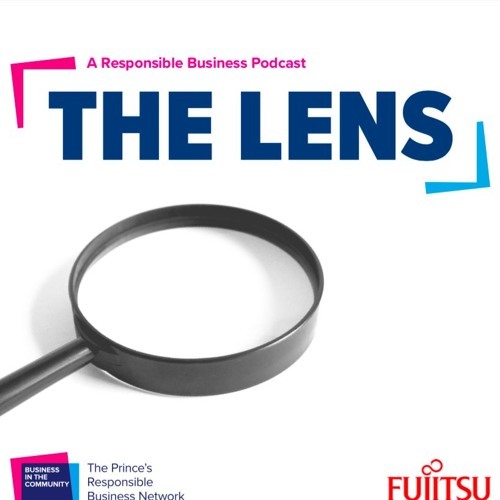 The Lens is a Business in the Community podcast exploring responsible business in a digital age, powered by Fujitsu and supported by McCann.